Boulder was starting to feel a little too cramped for a climbing wall manufacturer that’s been reaching new heights in recent years. Eldorado Climbing Walls has been particularly busy lately. Recent projects have included a five-story self-belay wall at the Limelight Hotel in Snowmass, two walls for Google’s Boulder campus and a climbing wall at the Parc Mosaic Apartment Homes in Boulder. With the increase in business, the company is expanding its manufacturing space by 50 percent with a move from Boulder to a new building at 1699 Cherry St. in Louisville. It will start operating there March 1. “The size we need for light industrial is not available in Boulder, a) period, and b) at any price that would be reasonable,” owner Kevin Volz said. To create more work space, the company bought shipping containers that stack two stories high. Eldorado wanted to devote as much space in the new warehouse to making its walls, including room for tools and shops for welding, steel and paint work. 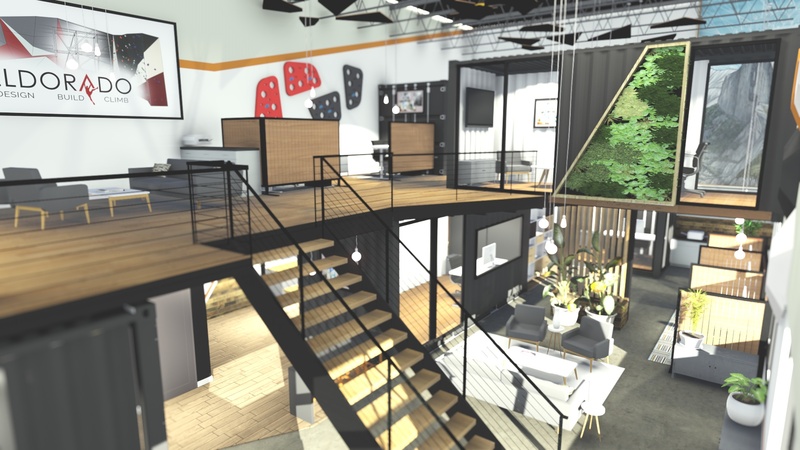 To create more work space, the company bought shipping containers that stack two stories high. The company purchased shipping containers from Erie-based RoxBox Containers and Modifications. 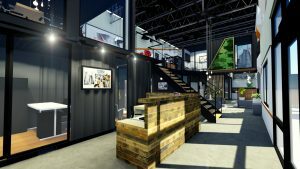 Eldorado enlisted the help of F9 Productions and Apex Builders to transform the containers into office space and a conference room. Eldorado employs nearly 50 people, 20 of whom travel around the country to install climbing walls for clients, Volz said. Volz said Eldorado’s neighbors at its new office include mountaineering apparel company Rab. Across the street is the climbing gym Evo Rock + Fitness. Eldorado has been at 1835 38th St. in Boulder since 2002. The company has shared that location with Head Rush Technologies, which makes climbing and zip line products, and spun off Eldorado six years ago. 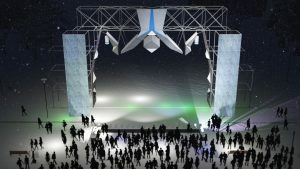 Rendering of Eldorado’s planned wall for the UIAA Ice Climbing World Cup. 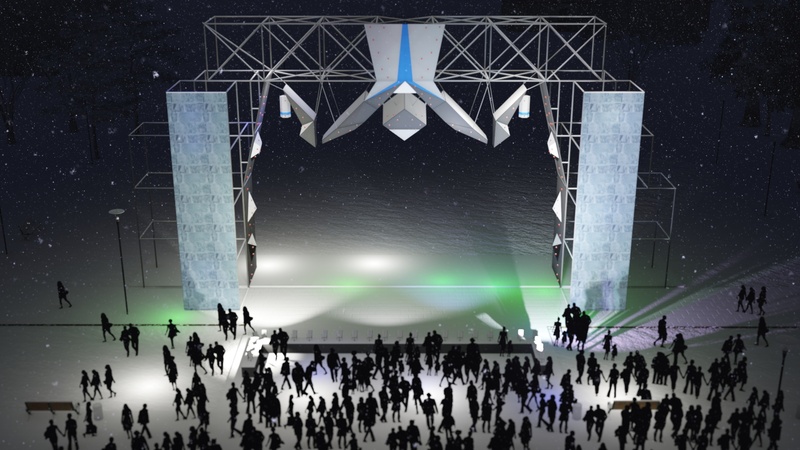 Eldorado also is making the walls for the UIAA Ice Climbing World Cup, which will be held Feb. 22-24 at Civic Center Park in Denver. “That is the coolest thing that we’ve got going on right now,” he said.